14 January, 2010: WhiteLabelDating.com (WLD), the international leader in customer focused, flexible and scalable online dating systems, has taken the industry-leading step of offering improved profile matching technology to all its partners and brands looking to build online dating sites, after signing a deal with IntroAnalytics. The technology partnership will dramatically increase the successful matching of member profiles based on implicit behaviour as they move around the site, rather than relying on the user’s preferences or questionnaires around who they want to meet – a first in the online dating industry. Extensive consumer research revealed that online daters want edited choice and recommendations to make the experience and results easier and more rewarding. As a result, WLD decided to integrate IntroAnalytics’ recommendation engine into its platform to enable all partners to benefit from the technology as well as building in to its own dating sites, from mid-January 2010. Current users of WLD and its partners’ sites will now enjoy a richer online experience and receive a list of recommended members including the likely degree of mutual attraction based on member behaviour. Ross Williams, CEO of Global Personals said: “We are really excited about the impact that IntroAnalytics’ technology will have on the online dating experience of those members that are part of our own and our partner’s sites. We strive to provide consumers with the best experience possible which is why they are at they are at the heart of every decision we make. While new online daters usually have a preconceived notion of who they want to meet online, the information gathered by observing behavioral patterns will allow members to increase their chances of meeting someone that they might have missed out on before making their experience second to none. 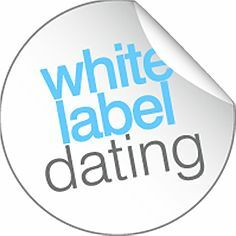 WhiteLabelDating.com, a subsidiary of Global Personals Limited, is a UK-based software company that enables partners to set up their own branded, online dating sites. WhiteLabelDating.com’s services include the provision of the backend system requirements, software, billing and customer support, as well as database management. IntroAnalytics Ltd is a London-based company founded by Nick Tsinonis and Gavin Potter. IntroAnalytics has developed a unique recommendation engine for people introductions that can easily be integrated into dating and social networking websites. See www.introAnalytics.com for more information.